The DNR's Aquatic Education programs get kids (and adults) excited about fishing and simply enjoying the great outdoors. The S.C. Department of Natural Resources' Aquatic Education section works to educate the public about recreational fishing opportunities, techniques and ethics, as well as aquatic ecosystems and the various species found there. SC Reels Kids is a free Aquatic Education program for kids under the age of 16. Once kids sign up, they have a chance to earn free prizes such as fishing tackle and gear by attaining a structured set of goals created to help participants learn the value (and fun!) of natural resources through fishing-related activities. Goals include everything from catching your first fish to participating in a Beach Sweep/River Sweep event. This annual event, organized by the S.C. Sea Grant Consortium and the DNR, is the largest one-day litter cleanup of the state's beaches and waterways. Reel Art, a component of SC Reel Kids, is an art competition for kids K-12. Through the creation of unique and colorful fish art, kids learn about South Carolina fish species and habitats. Winners receive savings bonds and art supplies; they also have their work displayed at the Southeastern Wildlife Expo and the Palmetto Sportsmen's Classic. Interested in fishing, but lack the equipment to go out and get started? If so, then the DNR's Fishing Tackle Loaner program can help. 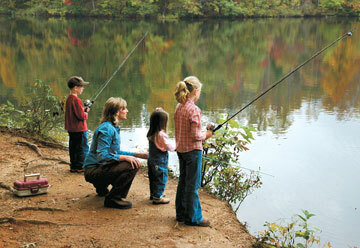 This program, with sites at various state parks, allows you to borrow rods, reels and a tackle box. And, the FTLP sites provide helpful tips on fishing, including how to tie knots, rig lines and choose bait. For more information on how you can participate in the many fun and beneficial activities of the DNR's Aquatic Education section, please contact Lorianne Riggin at 803-737-8483 or email RigginL@dnr.sc.gov. On the Web, visit www.dnr.sc.gov/aquaticed. 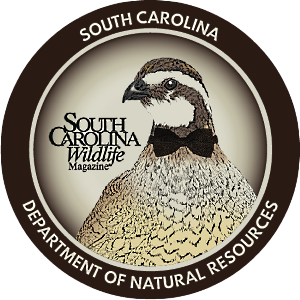 The S.C. Department of Natural Resources' State Lakes program is designed to provide public fishing in areas of the state where opportunity may be limited. These lakes provide anglers with opportunities for bank fishing, along with boat launching facilities, fishing piers and picnic areas. Lake management activities work to provide quality fishing for a variety of species, including largemouth bass, bluegill and shellcracker. In addition, the department stocks catchable-sized catfish. Public lakes are listed in the South Carolina Rules and Regulations booklet.